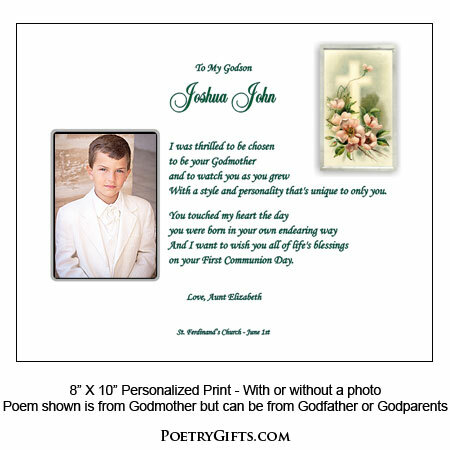 Have you had a difficult time finding a meaningful religious gift for a Godchild's First Communion? 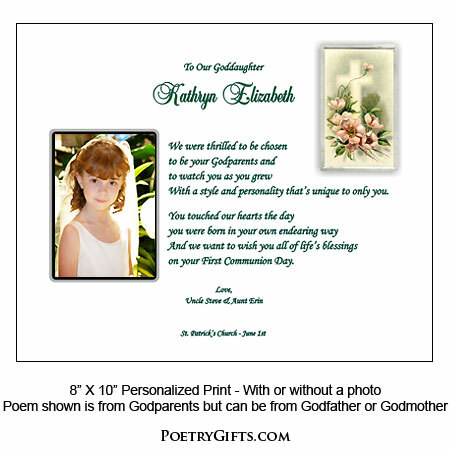 Look no futher...this is a one-of-a-kind personalized 1st Communion gift for your special Godchild that will become a lasting keepsake. 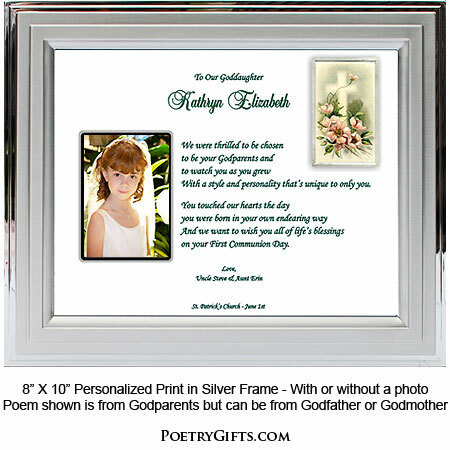 Personalized with name, date and optional closing message from you. There is also a cut-out opening for the very special 1st Communion Day photo of your Godchild. To read poem and for further details, see tabs below. With a style and personality that's unique to only you. on your First Communion Day. 3. Closing Phrase and Your Name(s) as seen after poem - Examples: Love, Lisa; With Love, Uncle Justin & Aunt Ann; Love You, Grandma & Grandpa; etc. So thrilled with this purchase. 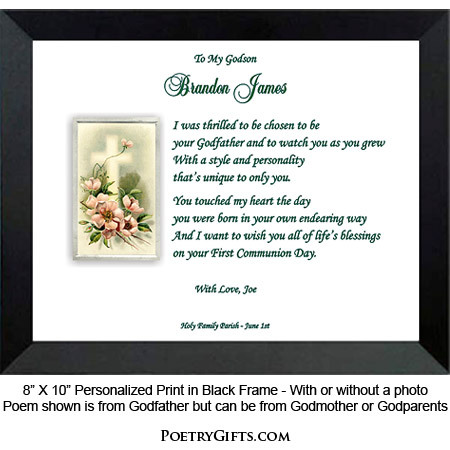 The poem was beautiful and the personalization made it so special for our Godson. Will definitely shop here again when I need a special personalized gift!